Age of Conquest III for iPad is close to completion. It should take about one week of development, then one or more weeks to get the application approved in the Apple iTunes store. Age of Conquest Lite (map of Europe) will be upgraded first to give existing users the chance to play the game not only on iPod Touch and iPhone but also on the iPad. The world map will be released thereafter. 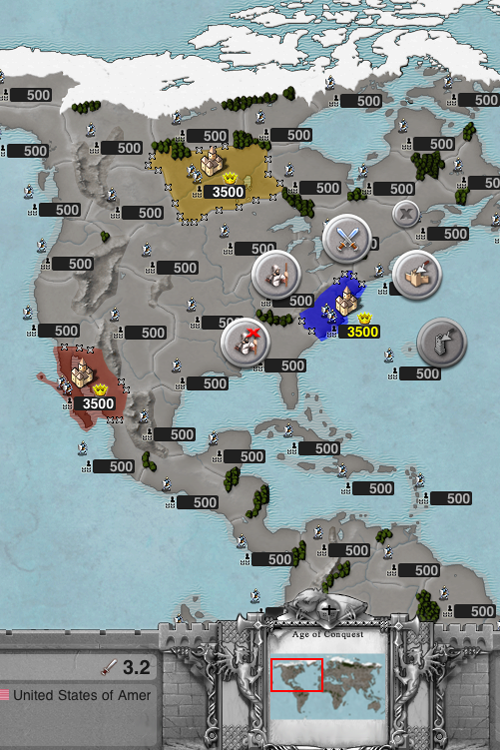 See below for current development screenshots for the iPad version (World Conquest). Please note, this is the medium-sized world map. 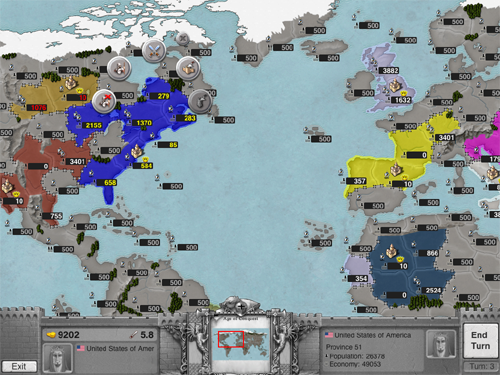 The full-size world map will be available on desktop (PC, Mac, Linux) only due to memory limitations.